Hamlin Lake - For the Love of Pets - Animal support organizations, fundraisers, pet-friendly places, dog parks, pet care, and more pet information. Mason County is lucky to have numerous organizations that are dedicated to finding homes for stray animals, caring for animals, and supporting pet owners. Community Cats TNR is a group of volunteers, caregivers, and veterinarians working in the City of Ludington and Mason County to reduce and stabilize the number of free-roaming, abandoned, homeless, feral cats through a humane program known as Trap-Neuter-Return (TNR). The group was formed in 2012. Community Cats TNR volunteers meet with caregivers, assess the size, age, and health of their cats, provide them with information on how the program works, show them how to safely and successfully trap the cats, and how to care for cats before and after surgery. A veterinary appointment is then scheduled and volunteers help trap the cats the day before surgery. On the morning of surgery, cats are transported to the clinic and then returned them to the caregiver after surgery. Two local veterinarians make time in their surgery schedules for Community Cats – Country Vet Clinic, and Animal Hospital of Ludington. After surgery, cats are cared for in the traps either by the caregiver, or by a TNR volunteer. Males are generally released the next day and females are generally kept for three days. Kittens over three pounds (about 10+ weeks old) can be spayed/neutered. For more information on Community Cats TNR, call (231) 845-9312 or visit communitycatstnr.org. 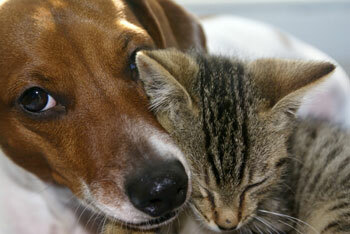 Fixing Furry Friends seeks to prevent cruelty to animals and provide relief to suffering animals. The group provides certificates to Mason County residents who have dogs and cats to help assist with the cost of spay/neuter. The group was founded in 2001 and believes that spaying/neutering pets makes for a calmer, healthier and happier pet for the owner. There is also less worry about placing and feeding unwanted puppies and kittens and fewer stray cats and dogs roaming the community. 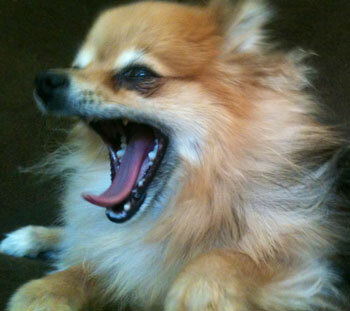 For more information on Fixing Furry Friends, call (231) 757-9219 or visit fixingfurryfriends.org. Founded in 1992, Lakeshore Animal Friends is a non-profit organization that works to find safe, happy, permanent homes for displaced animals that come through Mason County Animal Control. The group pays for spay/neuter for all animals that are adopted from Animal Control and also provides foster care for animals facing euthanasia. Animals adopted through the group are up to date on vaccinations, flea treatments, and are spay/neutered if old enough. They are also treated for any medical attention that is needed and dogs are tested for heartworm and put on preventative medication. Cats are FIV/FeLV tested, as well. The group has been in existence since 1992 and works closely with Mason County Animal Control, providing many of their necessities. The group is seeking volunteers, foster homes, and donations to support their cause. For more information on Lakeshore Animal Friends, call (231) 843-1414, click here or visit petfinder.com. Formed in 2017, this new organization focuses on finding good homes at the Mason County Animal Control and also helps the public place cats and dogs that need to be surrendered. Animals fostered by the organization will be spayed/neutered, given shots and flea treatment, and wormed before they are adopted out. The group's non-profit status is pending. For more information on Mason County Animal Advocates, visit their Facebook page or call Sue Smallwood at (248) 202-6915. The Mason County Mutts is a 501(c)3 non-profit organization that was founded in 2015. The group's prime purpose is to work on community oriented projects, education and animal welfare. The group volunteers at the local animal control, as well as rescues and fosters animals. Donations received by the group go towards furthering their efforts with rescue, medical care, food, education materials, community projects and any other expenses incurred in our attempt to help as many local animals as possible. For more information on the Mason County Mutts, visit masoncountymutts.org. Mason County PAWS, formerly the Second Chance Humane Society, was founded in 2015 and is a non-profit whose mission it is to end companion pet homelessness in Mason County and to provide an alternative to the euthanasia of healthy, treatable, and adoptable animals. Their primary goal is to open a "no-kill" animal shelter in Mason County. The group rescues at-risk dogs and cats from Animal Control and provides age appropriate vaccinations, worm medicine, flea treatment, spay/neutering, medical vet care, enrichment, adequate exercise, training, and socialization for animals in their foster program before those animals are adopted into "furever" homes. The group also helps abandoned, displaced, and unwanted companion animals when necessary. 5 acres of land, or more, with or without buildings. Preferably within 3 miles of US 10/31, due to zoning issues. A building on this land, new or used, that could be licensed as an animal shelter. A reliable vehicle to transport dogs and cats to homes/shelters. New or gently used items of various sizes to be used in auctions and future yard sales. For more information on Mason County PAWS, call (231) 757-9219 or visit secondchancehumansociety.com. Mason County Animal Control is located at 305 N. Meyers Rd. in Ludington. They are open on Monday, Tuesday, Friday, and Saturday from 9am-12pm and Wednesday and Thursday from 3-6pm. They may be reached at (231) 843-8644 or animalcontrol@masoncounty.net. Those who find lost or stray animals should contact animal control first and they will notify the appropriate agency. We love our pets, and many people bring their pets along when they travel. 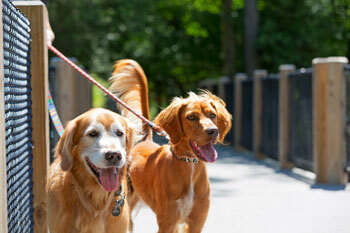 The Ludington area is pet-friendly and welcomes your furry friends at many lodging facilities in town. Click here for places your pet can stay and play! For those who can't or prefer not to travel with their pets, it's important to find a good kennel to board them. You want to know that they're being taken care of while you're gone. Proper feeding, comfortable pens, and a little TLC...that's what you'll find at these area Kennels/Pet Boarding Facilities. Pets need medical care too. Yearly checkups are important to their well being, especially as our pets age. A veterinarian knows what to look for, and what medications are right for your dog or cat. Heartworm pills should be given all year, and flea and tick medications are important during the warmer months. Visit one of these local Veterinarians...trained professionals that understand your animal's condition and can treat them back to health. Our pets look so much better with a good bath and grooming. It can be a difficult task to accomplish, and better left to the professionals. Groomers have the equipment and the patience to bathe, trim, and pamper our pets the way they deserve. Give yourself a break...call a local Groomer today and make an appointment for your pet to get pretty! Our pets don't need much, but they do need some necessities to make their lives easier and even a bit more fun. Toys, leashes, bowls, cute pet clothing, food, and treats can all be purchased from Ludington area Pet Supplies stores. Where can you go in Ludington to let your dog run free? There are various parks that welcome your pet, or head to Central Bark. There are fenced-in areas for your dog; one for small dogs and another for larger breeds. It's clean, safe, and set in a beautiful wooded area.